This little bundle of joy, Baby Syed, who is only 6-months old is suffering in pain owing to a severe liver disease called end-stage liver disease. What is End-stage Liver Disease? End-stage liver disease is a chronic liver disease which causes the persistent deterioration of the liver. If not treated urgently it can become very critical and cause inflammation of the stomach, high receptivity to infection. 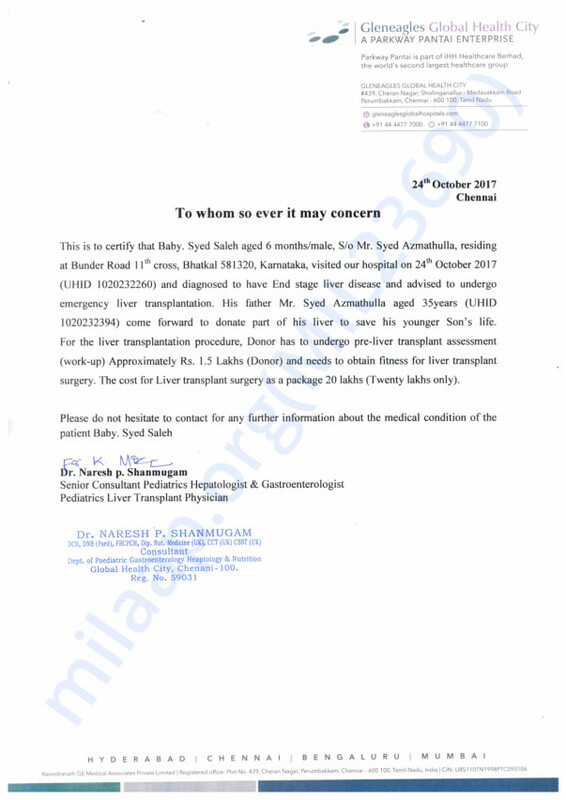 Baby Syed has been advised to urgently undergo a liver transplant and his father has agreed to be a donor. The total cost of the liver transplant is around 20 lakh Rs. Baby Syed is the second child of Azamathulla and Aysha, from Bhatkal, Karnataka. Three months back, his parents noticed that his body turned yellowish and they were terrified. He was already taking medication for low appetite and nausea. Many tests and scan, his liver disease was diagnosed. The only cure is a liver transplant. Azamathulla and Aysha have rented out a room in Chennai for Syed’s treatment. Their first son who is also only 18-months-old is back home with his grandmother. 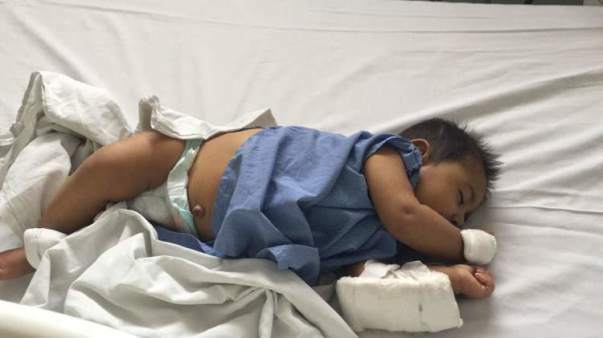 Aysha is devastated about her son’s condition. She is finding it hard to come to terms with the reality that her happy, bubbly baby does not have time. Unfortunately, 20 lakhs is far too high for Syed's family who are worried that if they cant pay for the treatment they may lose their son. He has sold off everything expensive that they had and exhausted his savings. Now he has gone back to home to do the paperwork for the surgery. The doctor has given him 10 days to do the surgery and in this time, he has to arrange money for the surgery. 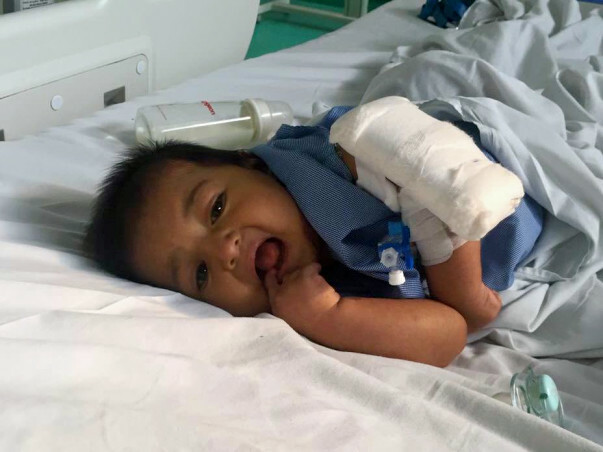 Your contribution can save Syed's life and give this little baby the life he deserves. 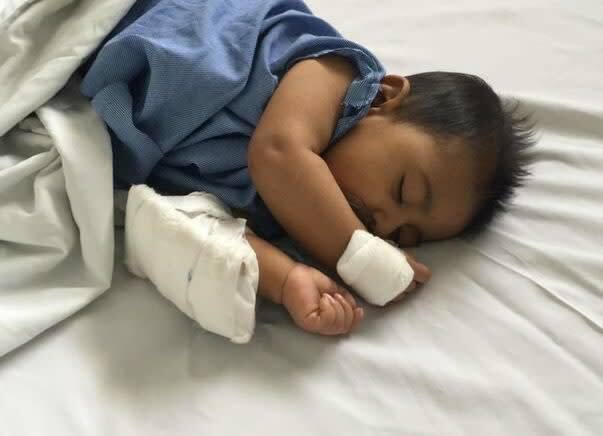 Baby Syed's surgery went on well and he was discharged from the hospital on the 30th of December 2017. The family has been advised to stay in Chennai for another month as all the medicines being given to him have to be managed and standardized and he will be on follow up for a few days. Syed is doing very well. Thank you for all the love and support you have shown him. Do pray for his speedy recovery. Here is an update on baby Syed. Currently, the baby is at home and doing fine. However, he has some infection for which it will take one week's time to recover from that. After that he will undergo the transplant, his father is the donor for the same. Baby is on general medication for optimized health before he undergoes the transplant. He will be in the hospital for two weeks and will be shifted to Chennai for one month, for the recovery. Thank you so much for your love and support. Please pray for him. Here is a quick update on Baby Syed. Baby Syed is currently at home and is under medication. Since a few days, he is not doing quite well and has been crying all the time, depriving him of sleep. The doctors will schedule the liver transplant by the November second or third week, on the completion of paper works. Please provide update on Syed's health once the operation is done.